Material that aids people in allowing God to meet them in the everyday routine of the busy lives; presented in a retreat format, conference presentation, sermon and booklet form. A simple document that presents a rule of life for followers of Jesus Christ. 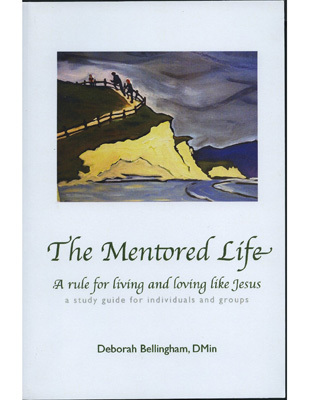 This document is then expanded through a daily devotional, a curriculum for small groups, an extended guided retreat. Based on the teachings of St. Ignatius of Loyola, an experiential class that invites participants to allow the Spirit of Christ access to their entire person. “Shaped by the Spirit I” covers the basics of St. Ignatiusʼ Spiritual Exercises; “Shaped by the Spirit II” delves deeper into these topics. Participants meet weekly for Spiritual Direction and guidance in prayer in a year long retreat in daily life for individuals pursuing a life of discipleship. Based on the Shalem model of Group Spiritual direction, directed 30 groups and trained others to facilitate spiritual direction groups.